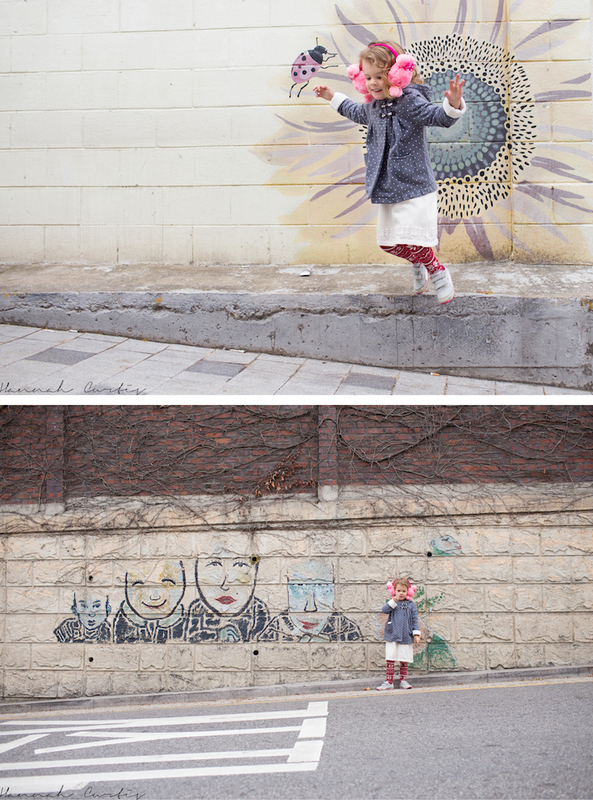 Unfortunately our second day (our first full day in Seoul) started way earlier than either of us wanted. Sadly Eden got virtually no sleep because she was coughing all night long, and as a consequence neither did I. From about 4.30am we were both wide awake. Knowing that we were both likely to crash extra early we got started with our day of sightseeing at the crazy time of 7.30am! Of course the awesome thing about heading out this early is that we managed to stay ahead of the crowds almost the entire day, the not so good thing is that it’s rather chilly. 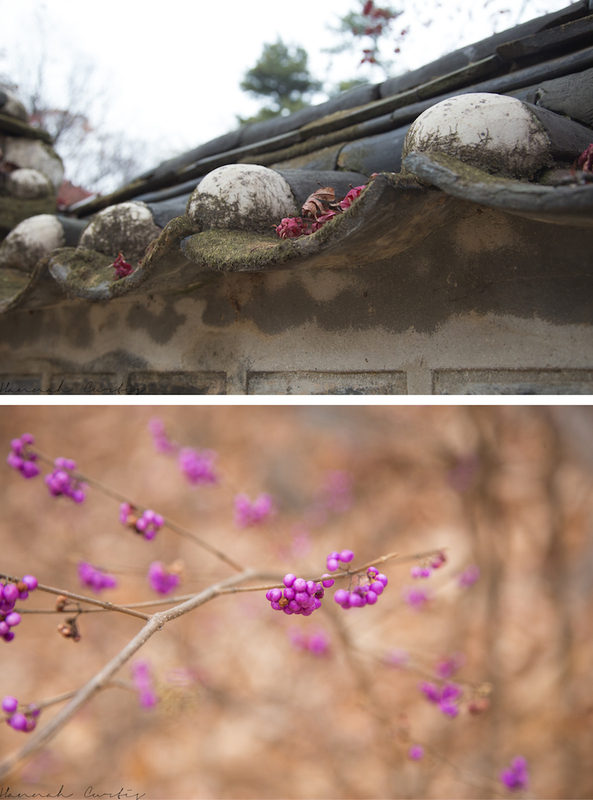 Our first stop was the gorgeous neighborhood of Buckchon Hanok Village, where around 900 hanoks still stand, although some have been turned into cafe’s, guesthouses and galleries. 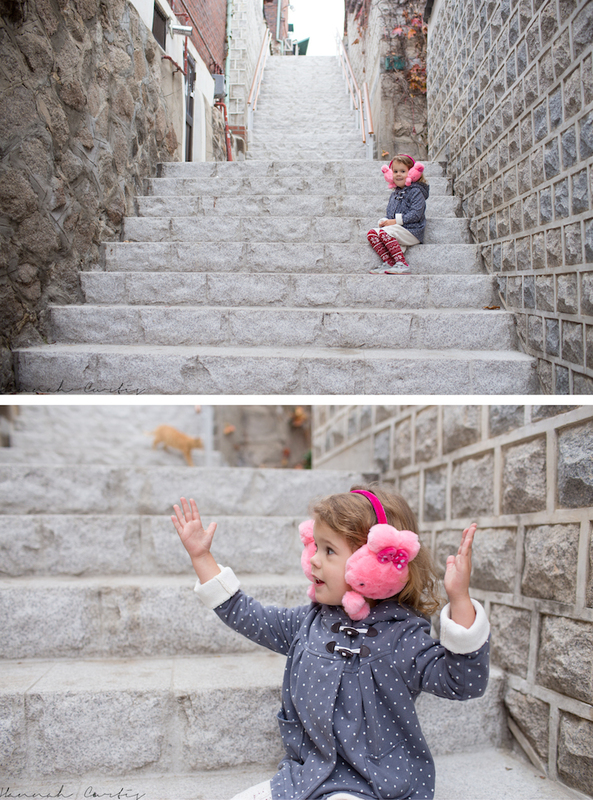 We loved meandering the narrow streets and looking out across the tiled roofs. getting lost trying to find Bukchon Village. Eden explaining how old things are to me! For the longest time we had the streets to ourselves with the exception of the odd resident, it wasn’t until we were leaving that we started meeting other visitors; all of whom wanted to have their photo with Eden! Since it was early a lot of the cafes hadn’t opened for business yet but the first open one we stumbled upon we went in and treated ourselves to a second breakfast of waffles and hot chocolates to warm ourselves up. 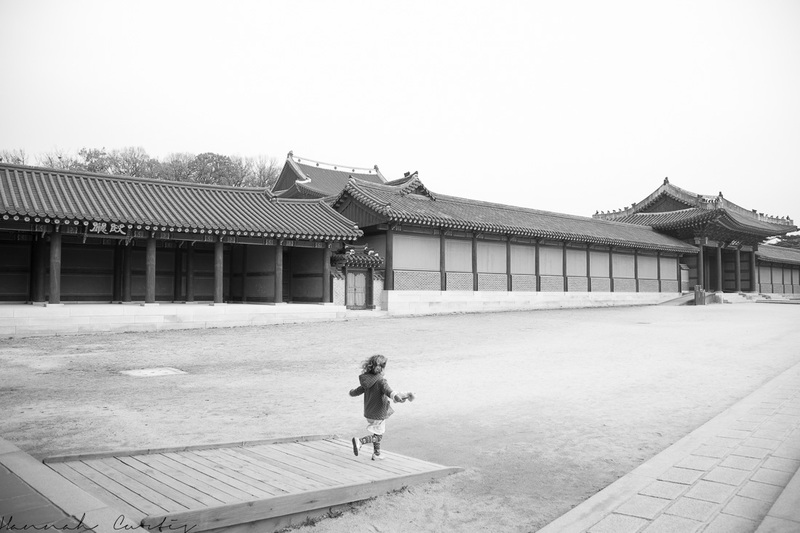 Once we were warm again we had a short walk to our next sight; Changdeokgung Palace; known as the most beautiful of Seoul’s four main palaces and a Unesco World Heritage site. When I researched which palaces to go to this one definitely caught my eye and I wasn’t going to go on any of the organized tours because I thought Eden would find it a bit boring, but after ready reviews everyone highly recommended doing The Secret Garden Tour. They only offer the tour in English 2 times a day and they limit the number of tickets available to 100 total (50 can be reserved online and 50 purchased the day of). I reserved ours online as I was determined to make it on the tour and a bonus about the online reservation you don’t need to pay any money for the reservation; on the day you simply go to the ticket office to pay. I liked this because I knew I could play it by ear if we would do the tour or not depending on how Eden was doing without the worry of wasting money. I had packed plenty of snacks just in case Eden started to get bored throughout the 90 minute tour…5 minutes before it ended was when she asked for a snack and not out of boredom but because she was hungry! Walking around The Secret Garden was breathtaking, I am so so pleased we did the tour. 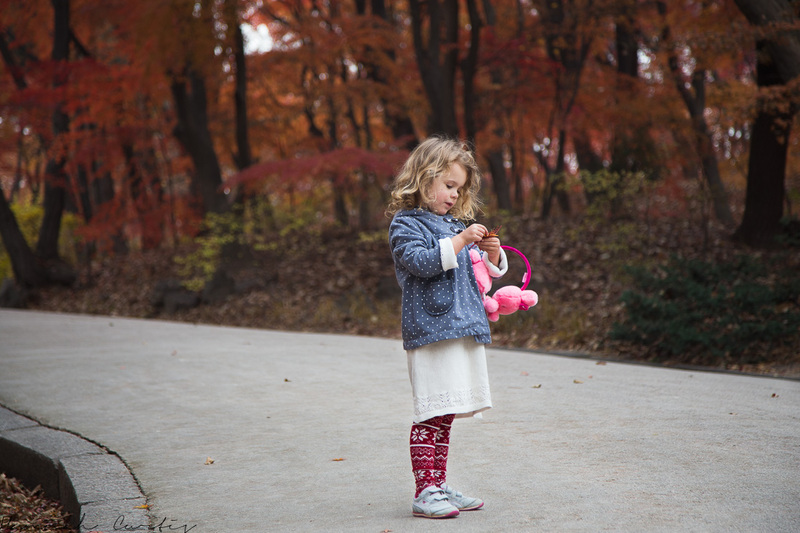 Eden had an absolute blast picking up fallen leaves, arranging them into piles and jumping off things; there was a lot of jumping. While she did plenty of jumping and running around she also took in a lot of what the guide was saying and even asked a couple of great questions; one that comes to mind was “Why is it called The Secret Garden” I didn’t even think to ask that! 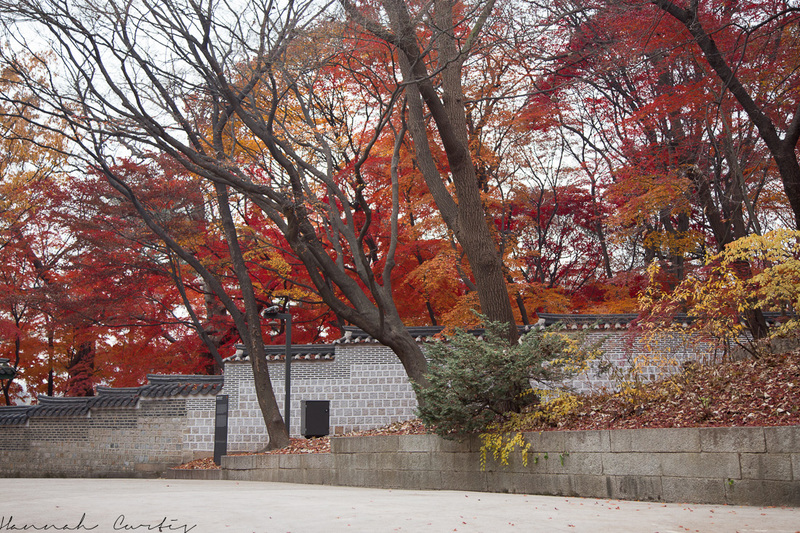 The garden or Huwon was built behind Changdeokgung Palace for the royal family to be able to enjoy leisure time in private. 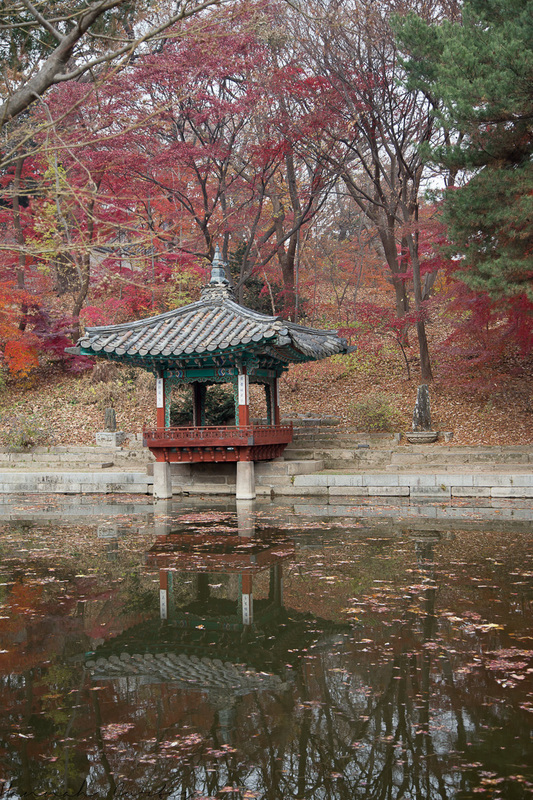 Throughout the gardens there are structures, some designed for places to read or study as well as several ponds. It really was gorgeous especially with the fall leaves. 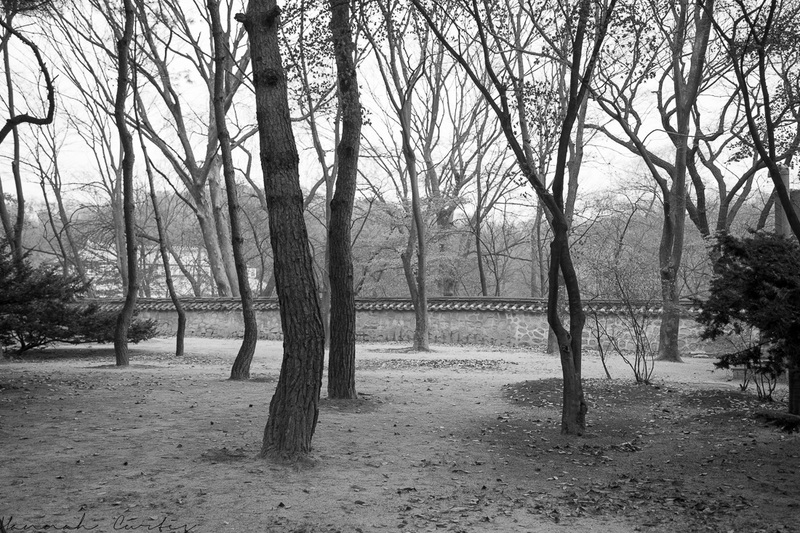 One section contains slabs of stone flush with the ground which were where royal members (men) would practice how to walk. Eden really enjoyed trying to master this, although her little legs found it difficult. 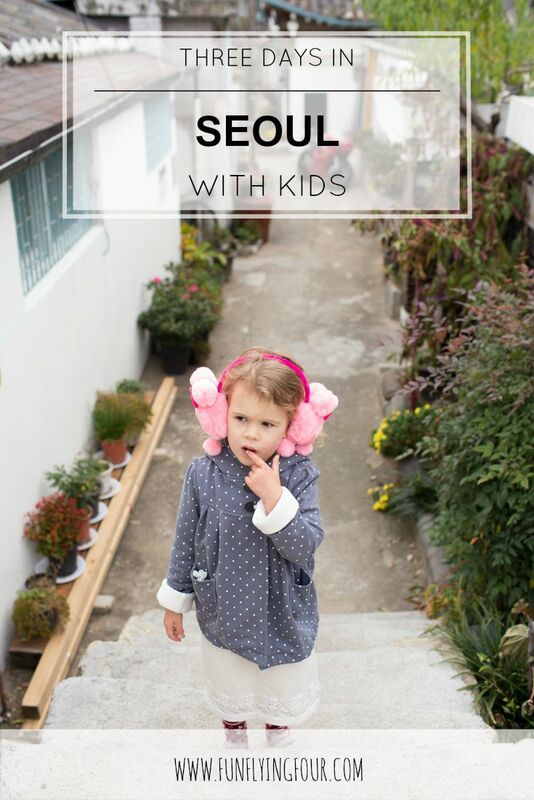 By the time the tour ended we were ready for some lunch so we walked over to Insadong and found a delicious dumpling restaurant which turned out to be the perfect Thanksgiving feast. 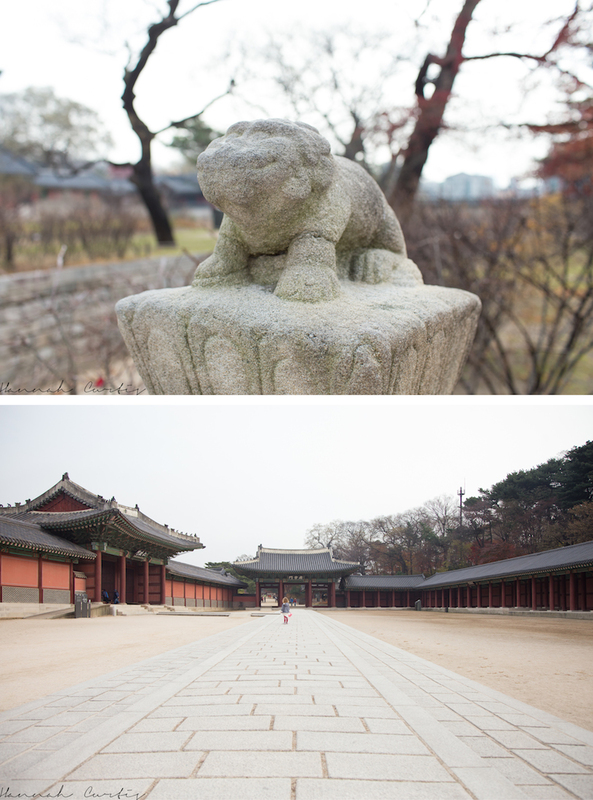 Originally I hadn’t planned on visiting the Insadong area but when I realized it was within walking distance from Changdeokgung I knew we needed to make the effort and I am so pleased we did. We strolled the main street lined with various souvenir shops, some more authentic than others; my favorite being TalBang, which literally means mask shop. 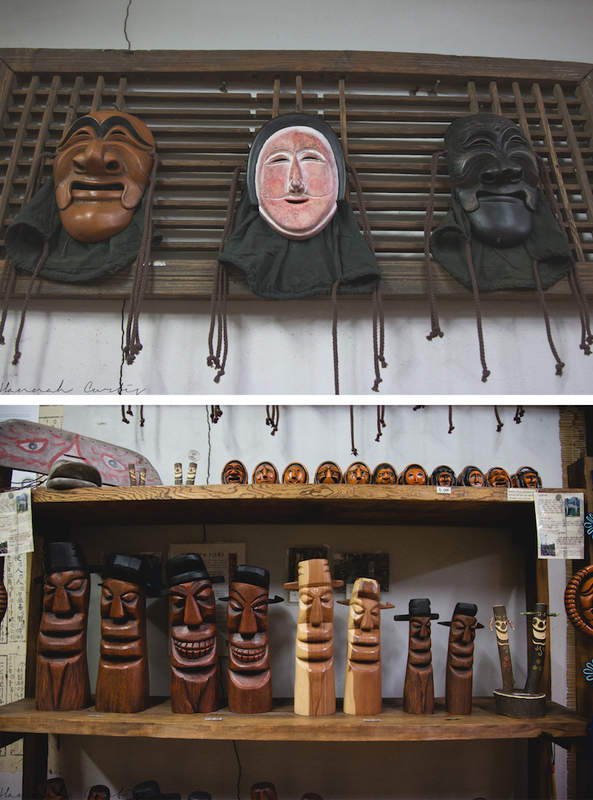 The owner of the shop carves all the Hanoe masks and they are beautiful, so much so I couldn’t help but buy one. The prices are higher than the knock-offs sold in other shops but also pretty reasonable. I would highly recommend visiting this shop if your in the market for a Hanoe mask!! As we continued on our stroll we got talked into dressing up into traditional dresses and getting our photos done. I didn’t particularly want to do this because its not the cheapest but Eden really wanted to and this was just as much her holiday as it was mine, so I said that she could do it. As they were getting Eden dressed I asked her if she would like me to do it with her and a huge smile spread across her face and she replied with a simple yes. How could I refuse! I ignored my purse strings and so pleased I did. We had so much fun getting dressed up, getting some light make-up on and then getting our pictures taken and when they said that we were to take some Photo Booth pictures we were both really impressed! 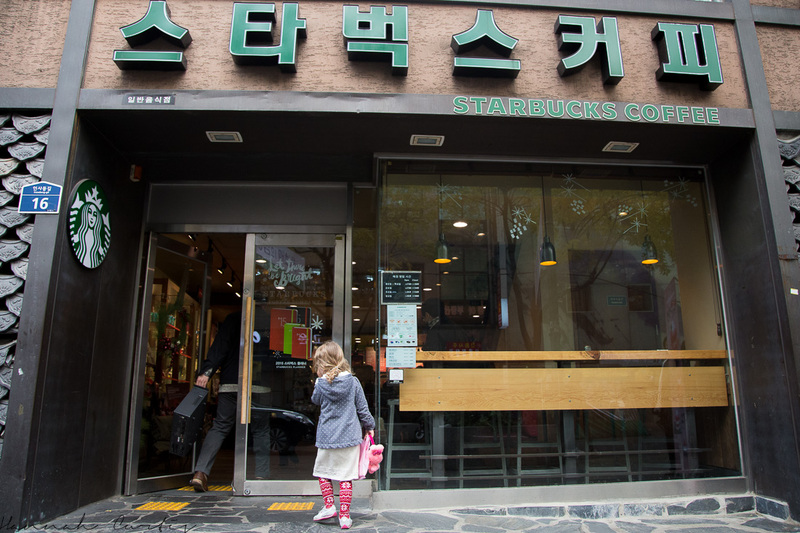 We made a quick stop by the local Starbucks, which has its sign written in Hangul; its not very often you see a Starbucks written in another language, in fact I would be interested to know how many because I can guarantee its a very low percentage. By this time it was late afternoon and we were both wearing pretty thin. 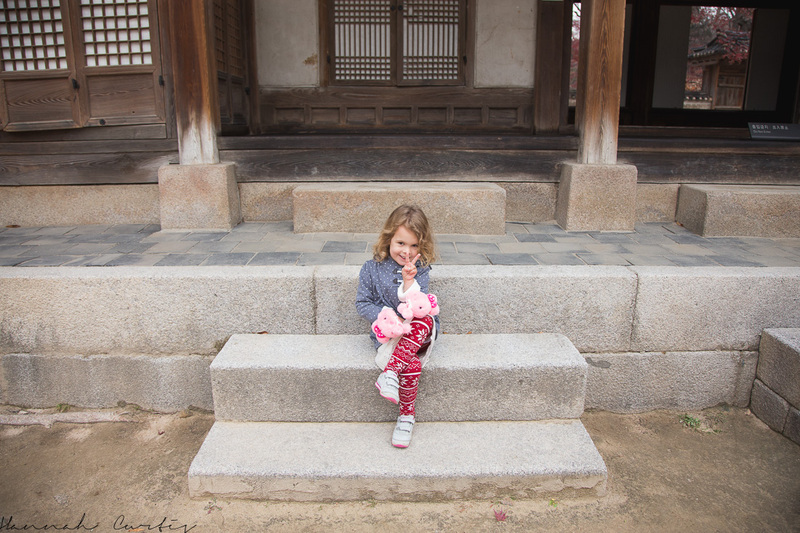 I had planned on visiting a few other sites but let Eden decide what to do and she voted to head to a market for dinner and then head back to the guesthouse. 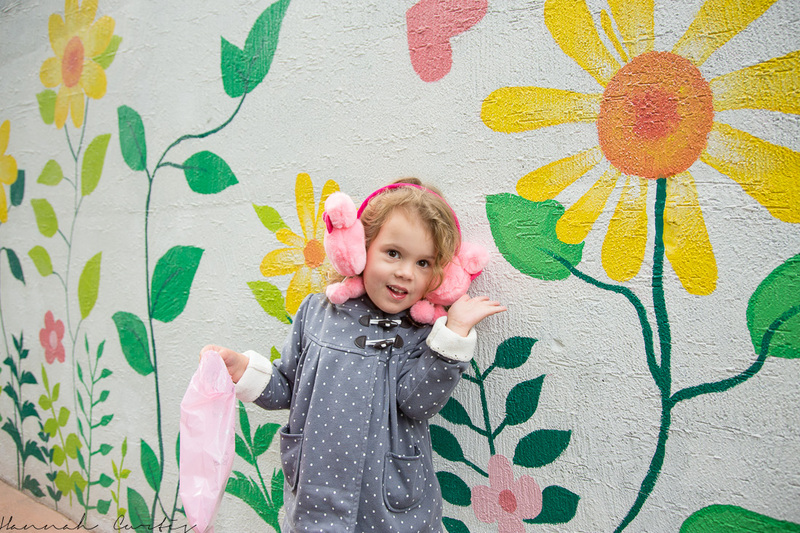 We caught the subway over to Namdaemun Market and literally seconds after entering Eden, who had not complained once all day (this was actually the only time she complained or got upset the entire trip) flipped out. I wished I had a photo of what Eden’s face looked like when she spotted that sculpture! She was exhausted and didn’t know if she wanted to eat or shop; she wanted to do both but also neither! We ‘shopped’ while we looked for food but then Eden was completing done. Instead of continuing further into the market in search of food I decided to turn around so we didn’t have to deal with the crowds and we found a little bread shop to sit down and eat sandwiches for dinner. Naturally after resting her legs and refueling Eden wanted to go back and do shopping, surprisingly for Clio not herself, but I thought it was best to call it a day. Once back at the guesthouse I gave Eden some medicine which I bought earlier in the day from a pharmacy in Insadong and within moments of her head touching the pillow she was out and minutes after that I was too. 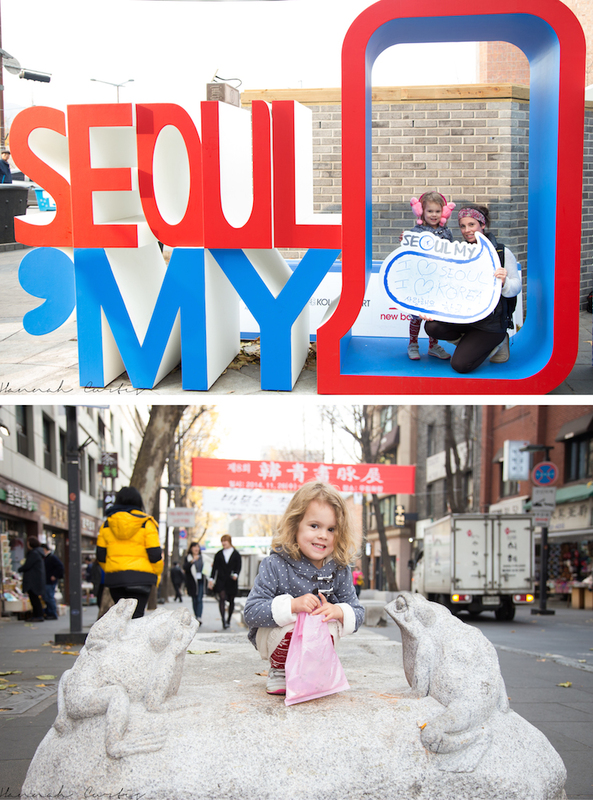 Our second day in Seoul was a winner, stay tuned to find out what our third day in Seoul was like! I am glad Mr C! Isn’t our girl getting big! Thank you! We think she is pretty cute too! 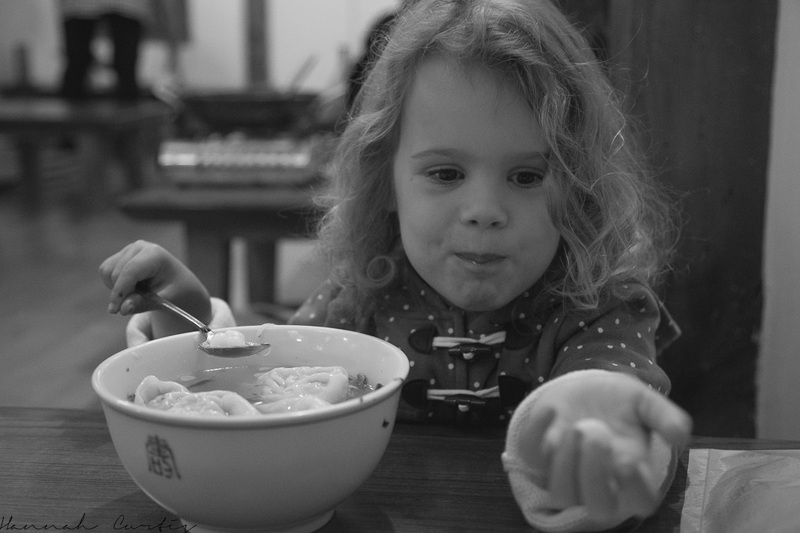 Og my goodness the pictures of your precious daughter doing the peace sigh. I’m dying. Sounds like a wonderful day of exploring. lol, you should see my youngest do the peace sign…she only does one finger and always pulls this cheesy grin! Hi! 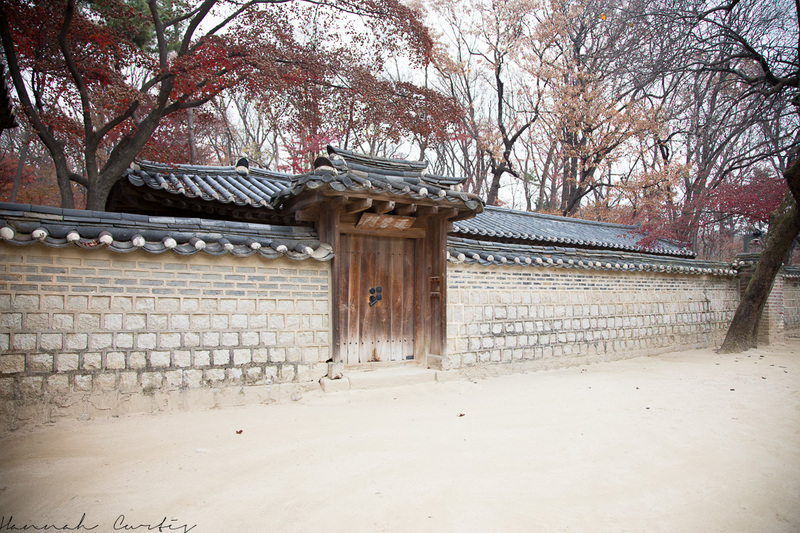 I was wondering what time did you go to Bukchon Hanok Village? and how long did you stay there? I don’t remember exactly what time but it was early like 8-9am and we probably ended up walking around for an hour!